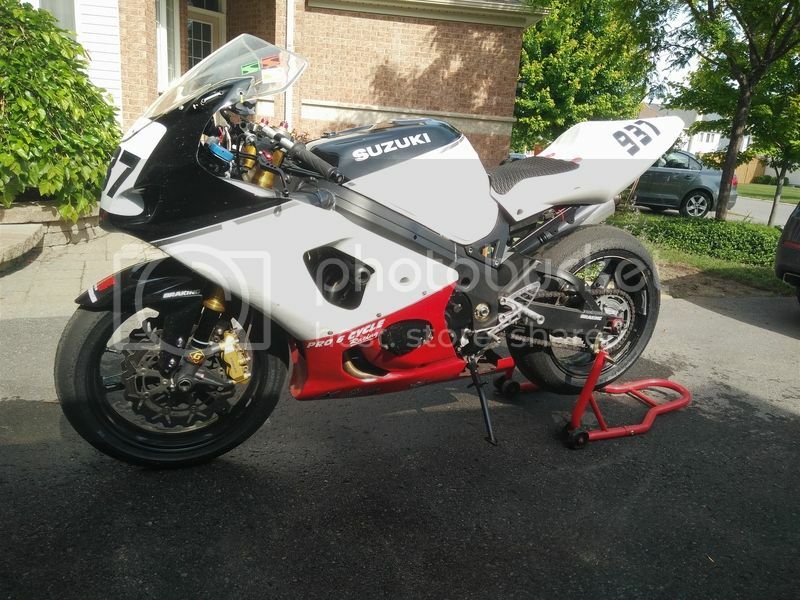 2003 GSXR1000. Ex Diablo Racing practice bike. Track ready, runs great and needs nothing to hit the track! Fiberglass bodywork, full Hindle exhaust, slipper clutch, fox shock, Power commander, vortex rearsets, ohlins dampner, yoshimura tripleclamp, & shorty levers. $4000 or B.O. Bike is located in Ottawa.